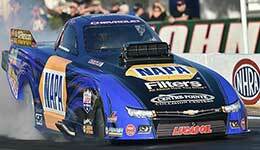 Wild Horse Pass Motorsports Park will host the Pacific division season opener March 4 - 6, 2016 with the NHRA Pacific Division Points Race. 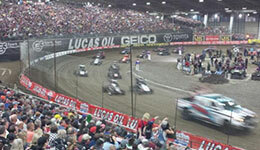 The 31st Annual Lucas Oil Chili Bowl Nationals presented by General Tire, the biggest and most prestigious midget racing event of the year, has been scheduled for Tuesday-Saturday, January 10-14 2017 at the River Spirit Expo Center, Tulsa Expo Raceway. 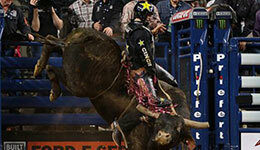 Before 35,000 cheering fans at AT&T Stadium on Saturday, Shane Proctor emerged from the world’s Top 40 PBR (Professional Bull Riders) to win the second PBR Major of the 2016 Built Ford Tough Series (BFTS) season, the Choctaw Casino Iron Cowboy powered by Kawasaki and brought to fans locally by Sonic. 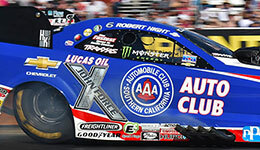 John Force Racing attacked the track at Wild Horse Pass Motorsports Park outside of Phoenix qualifying 2-3-4 in Funny Car. Led by Courtney Force in the No. 2 spot JFR was the dominant team throughout the weekend. 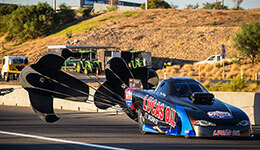 Last weekend, the Perth Motorplex was the site of record breaking runs for Australian Alcohol Funny Cars, where Gary Phillips and his Lucas Oil Products team broke through the highly sought after 5.3 second barrier, recording a 5.374 at 268.23mph.